If you are looking for a Forex Broker that offers a no deposit bonus without verification of your account, then FBS is here. FBS offers a generous $123 no deposit bonus that lasts for 7 days. Within 7 days, traders need to make profit as much as they can until the bonus amount expires. Once the bonus has expired, the profit made will be recorded and can be withdrawn by trading a certain amount of lots. It is rare for Forex Brokers to offer this kind of promo and only a few Forex Brokers are actually offering this but FBS is confident that the traders who will avail of this promo will stay with them after knowing how fast their executions and how tight their spreads are. Read below to learn more about this limited promo. - Trade for 7 days. - In 7 calendar days, account balance is zeroed, bonus is cancelled, profit is recorded in the “Bonus $123” section of your Personal area. Which lots are considered for calculation? 5. Profit received on the bonus funds is withdrawable after the required lots are traded. Profit can be withdrawn every month in parts, in proportions according to the lots traded within the previous month. Profit available for withdrawal is calculated according to the formula: number of traded lots * 3 (1 lot on a “Cent” account = 0.01 standard lot). Time period for lots trading is unlimited. - on other client’s accounts since the moment of bonus crediting. 11. In case any violation of the “Bonus 123” promotion rules is suspected, FBS is eligible to block the bonus account and cancel profit earned on it. FBS reserves the right to unilaterally change or cancel any of the promotion conditions or terminate their action any. You got the bonus at 15:00 on August 3. At 15:00 on August 10 all your orders were closed, account balance was zeroed, your bonus account became “Unlimited”, profit in the amount of $312 was recorded on the promotion page in your Personal area. Your account balance in MetaTrader 4 became 0. 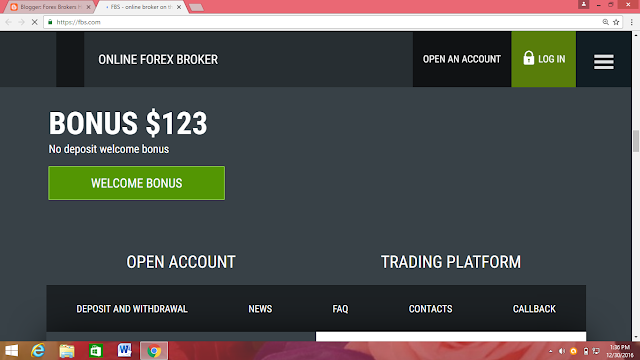 To withdraw the total profit of $312, it is necessary to trade 104 lots. Suppose you have traded 46.2 lots from August 10 to 31 (see p.3 of the Conditions). It means that on September 1, you will be able to transfer 46.2*3=$138.6 out of $312 to your trading account and either use the funds in trading or withdraw them. From September 1 to 30, you have traded 57.8 lots. It means that on October 1, you will be able to transfer 57.8*3 = $173.4 to your trading account and either use the funds in trading or withdraw them.